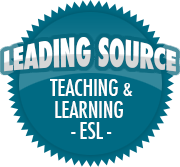 Call and Response Signals | So, You Think You Can Teach ESL? …at which point my students are looking at me with closed mouths and pleading eyes, waiting with great anticipation to hear the next word that will leave my lips. Well, at least that is what they are supposed to be doing.